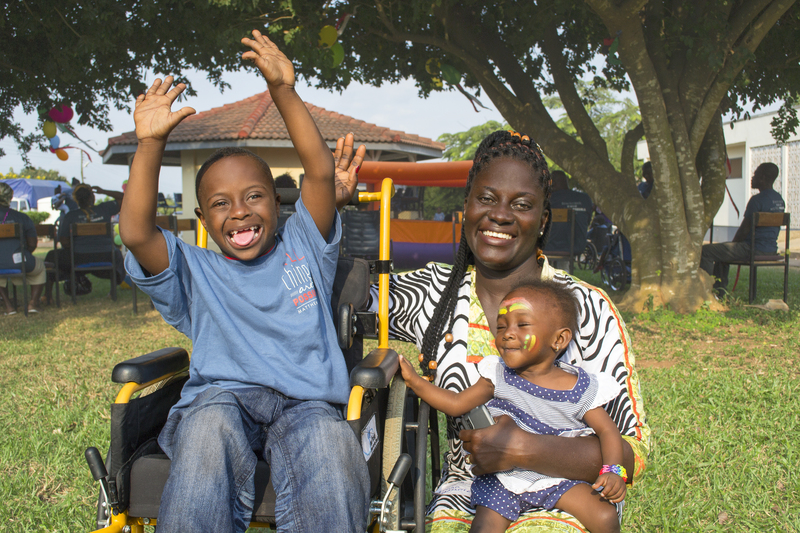 Wheels for the World provides the gift of mobility and the hope of the gospel to people affected by disability worldwide. A person with limited mobility is tragically often excluded from life in their community because they have no way of moving around. 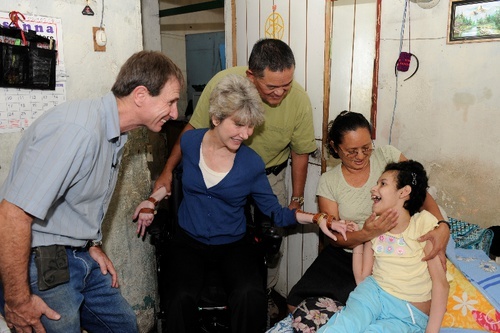 But the gift of a wheelchair literally lifts someone from the dirt to a seat of dignity and opportunity. Wheels for the World provides the gift of mobility along with the hope of the Gospel to people impacted by disability around the world. 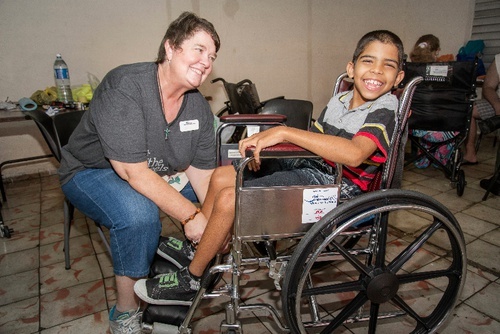 You can get involved by donating a wheelchair, serving on an international outreach, or giving so that wheelchairs can be restored and sent to someone in need. You can volunteer by: Donating a Wheelchair, Becoming a Chair Corps Volunteer, or Organizing a Wheelchair Drive. 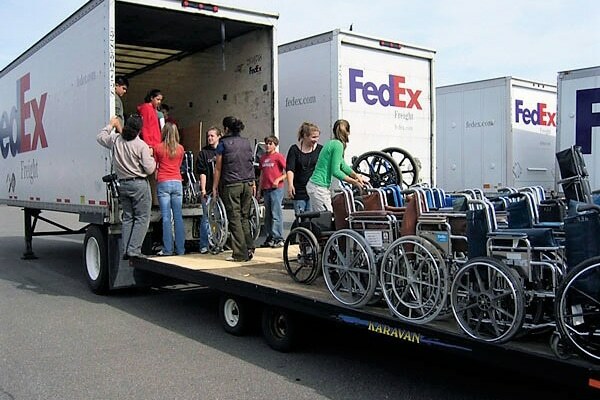 Transportation of the wheelchairs to restoration shops and shipping ports is an ongoing need. With over 10,000 wheelchairs collected each year, we are always looking for people to help. Wheels for the World currently restores wheelchairs at 15 federal, state, and private correctional facilities located in 12 different states, and we're looking to grow. Inmates are trained to restore wheelchairs to like-new condition. 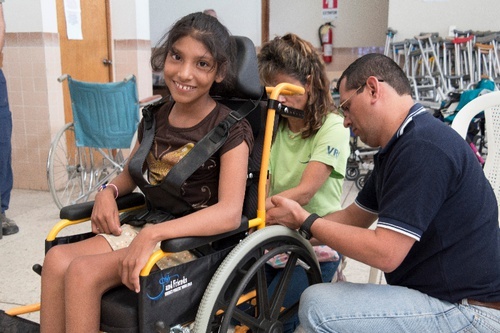 Each wheelchair recipient receives a custom-fit wheelchair and training in wheelchair use and upkeep. Team members also present each recipient with a Bible and the Gospel message. We accept donations of many types of mobility devices. Donate to a family member or friend attending a Wheels for the World outreach. 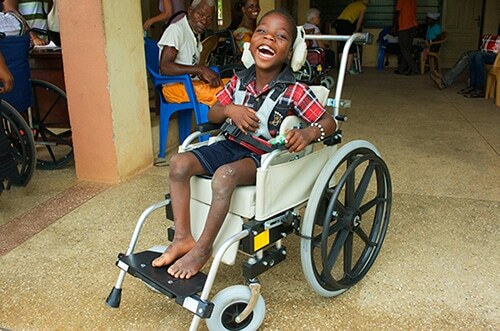 Provides restored wheelchairs to approved faith-based organizations.